The Sun’s Health Awards; Who Cares Wins! The Sun’s health awards have launched this week giving you the chance to thank the tireless NHS staff saving lives everyday and the charities who have helped you or a loved one. Nominate the health workers or charity you think deserve to win here. There are categories for doctors, nurses, midwives, paramedics, charities and support staff, an opportunity to give them the recognition they deserve. The winners will be announced at an awards lunch in October, hosted by Lorraine Kelly and whoever successfully nominates a winner gets £100!! This category is to cover anyone working in the health field who does not fit into any of the other categories. Other categories include: Ultimate lifesaver (emergency rescue or operation), groundbreaking pioneer or discovery and best midwife. 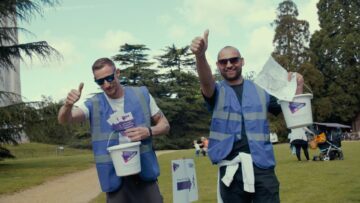 Previous Article Hertfordshire lady to take part in the world’s largest cycling event Next Article Let your newly elected MP know about pancreatic cancer!